Puerto Rico Trade and Export will host on Sept. 6-7 a multi-sector business event, “Expo Puerto Rico 2017” at the Puerto Rico Convention Center. The event is expected to bring together more than 70 international buyers on the island to hold business meetings with 95 Puerto Rican companies, Puerto Rico Trade Executive Director Ricardo Llerandi said. “‘Expo Puerto Rico 2017’ will provide local companies with a unique platform to boost the export of their products or services,” Llerandi said. “This event has a far more important role than an exhibition since it allows, in one place, to generate sales and boost exports by providing local businesses appointments with international buyers. It will also offer training workshops on issues related to international trade, innovation and technology,” said Llerandi. Buyers from other jurisdictions in the United States and abroad, such as the Dominican Republic, El Salvador, Peru, Colombia, Panama, Costa Rica, Haiti, Mexico and Spain will participate, he said. 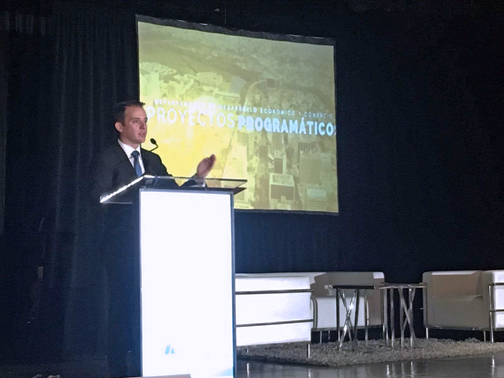 “For the first time in Puerto Rico, we will conduct the first virtual trade mission, where local entrepreneurs will have the opportunity to have business appointments with buyers abroad,” Llerandi said. “This new virtual platform represents an advantage for exporters, since it is a first approach with the potential buyer and allows them to analyze their possibilities to export and shows them a snapshot of the market,” the government official said. This initiative also includes a business training agenda consisting of talks and forums, as well as two plenary lunch sessions. The two-day business training program has workshops on technology and innovation in the internationalization of companies, disruptive technologies, “Puerto Rico Emprende,” tax incentives as a tool to develop small and mid-sized businesses (SMEs) and export services, e-commerce and global branding, among others. In addition, the agenda includes forums on: Services and commercial opportunities in Latin America and Spain; Export Services; and Financing and Insurance. “Expo Puerto Rico 2017” will also feature two guest speakers for the lunch plenary sessions. On Sept. 6, María Paulina Villa, from Ruta N Medellín Center for Innovation and Business, will speak about “Innovation and Technology for Latin America.” The following day, William Bates, of the U.S. Council of Competitiveness, will present the topic of “Competitiveness and Innovation Strategies. The event’s agenda will also include presentations by representatives of creative industries, who will compete for government incentives. Ten creative companies will be selected to receive up to $5,000 in financial assistance. Meanwhile, the winners of the “Creative Matchmaking” will present the work plan outlined for each of the SMEs that need creative services in their operations, he said. “Expo Puerto Rico 2017” is part of the “Puerto Rico Emprende” initiative, a business platform through which Gov. Ricardo Rosselló’s administration seeks to promote opportunities for the development of more local companies so they can create jobs and be competitive locally and abroad. The event is free of charge. To register, visit www.expopuertorico.com. Hey Buddy!, I found this information for you: "PR Trade and Export to host ‘Expo Puerto Rico 2017’". Here is the website link: https://newsismybusiness.com/trade-export-puerto/. Thank you.